Welcome to a new Monday Montage blog hop! I hope you are all enjoying this long holiday weekend. I have been having a productive weekend filled with stamping and am looking forward to relaxing today. To get your Monday off to a good start, there is a lot of amazing projects for you to see! This is just a super fun birthday card! 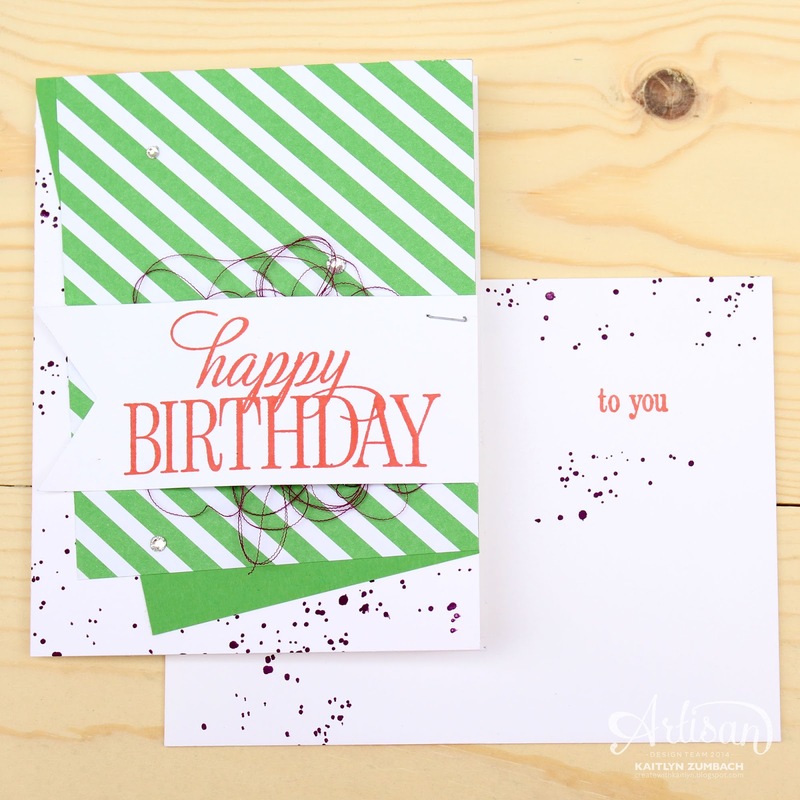 The angle of the Cucumber Crush papers and splatter from the Gorgeous Grunge Set creates a ton of energy. To get the Rich Razzleberry thread, I just pulled apart some of the Cotton Ribbon. 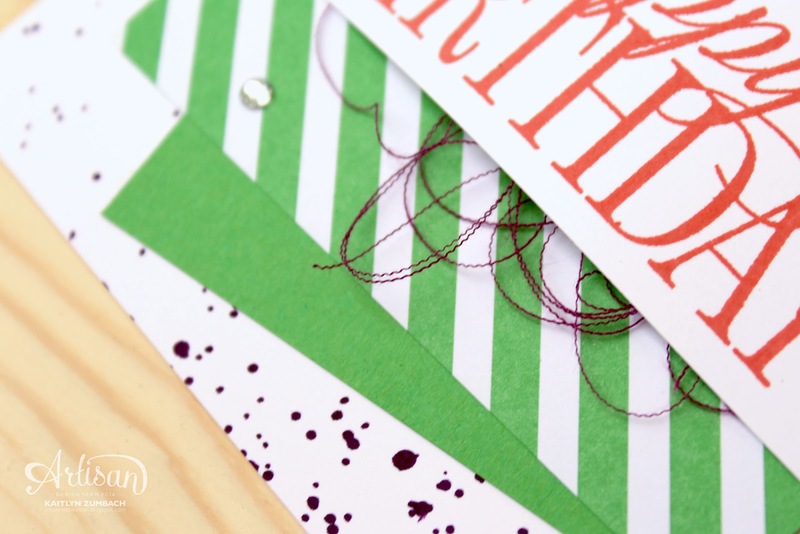 Some small touches of rhinestones and a staple is all that is need to finish this card. Get even more inspiration by following along the hop using the buttons below!